DNA Enterprise – learn all about our broadcast-grade eCDN solution for corporate video communications. Committed to being compatible with every video workflow, we invite you to join us for joint demos showcasing our latest partner integrations. Join us at the Connected Media|IP Presentation Theatre to learn how broadcasters harness distributed delivery to serve growing audiences worldwide. Learn all about creating and deploying a multi-CDN strategy from our Head of Product Charles Sonigo. Committed to being compatible with every video workflow, we invite you to join us for a joint demo showcasing our latest partner integration with Bitmovin. Our Co-Founder & CEO Pierre-Louis Théron and Account Director Mackenzie Logan will discuss Peer-to-Peer and multisourcing delivery technologies as part of the Wowza Studio Sessions live broadcasts. Join our Co-Founder & CEO Pierre-Louis Théron and other industry leaders as they explore trends in content distribution strategies. Head to the Vimeo booth for a fireside chat with our Co-Founder & CEO Pierre-Louis Théron about the dos and don’ts in corporate live streaming. 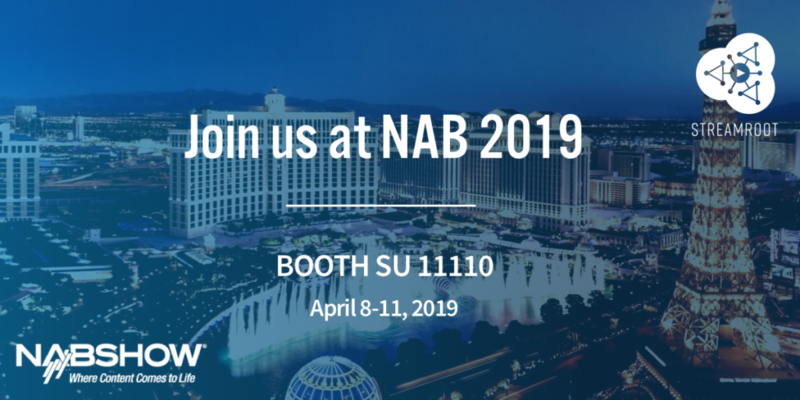 If you’re in Vegas for NAB, we’d love to meet you to discuss your OTT delivery strategy, and how we can help boost your capacity and improve QoS all while reducing your CDN costs. Book your meeting with us today.